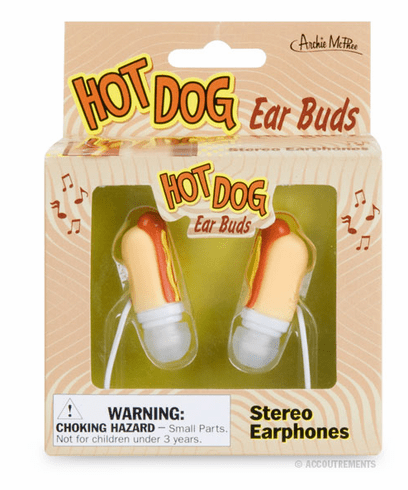 These novelty Hot Dog Ear Buds fit snugly in your ears and let everyone else on the bus know that you don't want to talk. If anyone does try and talk to you, we recommend saying in an overly loud voice, "I can't hear you. I have a hot dog in my ears." One thing we know for sure is that these ear buds will help you really relish the music. Completely compatible with your iPod or iPhone, or anything with a 3.5 mm jack.